Sole revival. Spa-treat your feet. Warm up to the idea of a spa-inspired moisturizing treatment in the comfort of your home - without the mess of paraffin wax. 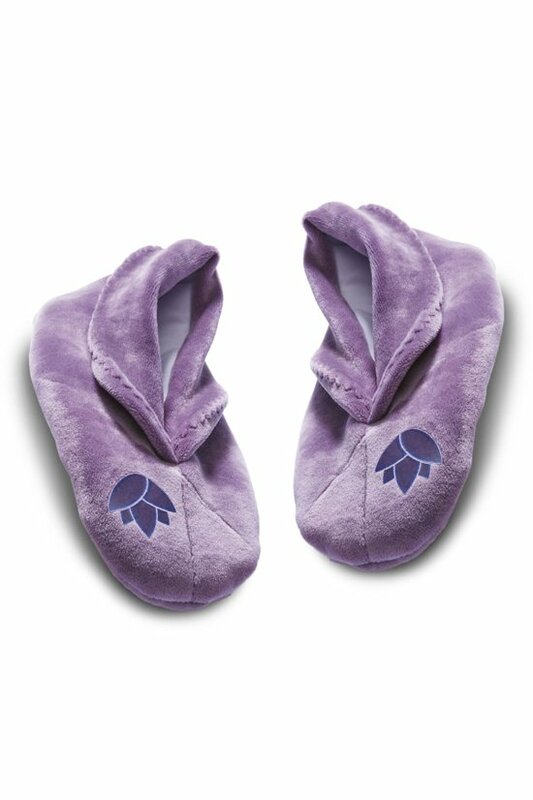 Simply warm the booties in the microwave to activate the inner lining infused with seven natural botanical oils and shea butter for instant soothing relief. No mess, no cleanup, just beautiful soles. Comes boxed for easy gift wrapping. Also available in matching Mitts (08176). Insert gel packs into booties and heat in microwave one at a time. Heat for 10 seconds on each side. When the heat indicator (lotus flower) turns red it means product is ready to use. Do not exceed total of 40 seconds heating time.